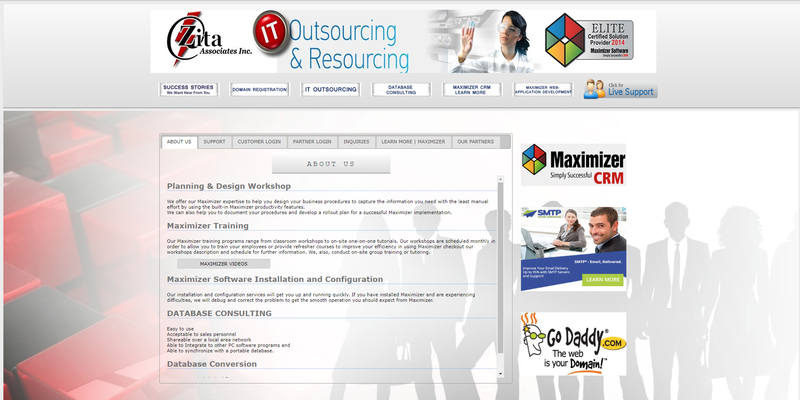 New Zita Website – Zita Associates Inc. The new Zita Associates’ website is here, and better than ever before. Redesigned from its previous version, this site takes on simple and modern look that is user friendly and appealing to the eye. The old site was out of date and far behind to websites seen on the web today. The new site was built from scratch using the popular web publishing system WordPress. Such system offers tools for developers to create stunning and compatible websites, coming with a variety of themes to enhance the overall experience. So, without a doubt we had to go along this path when creating Zita’s new website. The Gem Theme by Codex Themes suited our modern taste and was used as a foundation for our site. We wanted to integrate the key components from the old site onto the new one. For example, one of our services is a ‘rescue support channel’ that allows others struggling with an IT problem to connect with one of our live technicians via the LogMeIn Rescue program. This allows the technician to remotely take control of the client’s computer and do their job. So, we integrated a simple form that allows anyone to access and get live support. However, new clients that need an emergency IT support will have to pay a fee. They are encouraged to make a prepayment in advance. More information can be found on our IT emergency page found here. Some new features added to the site is the blog. Like this post for example, the blog allows users to stay up to date with everything Zita. This can be our recent projects, news, announcements, etc. We hope you like what you see. 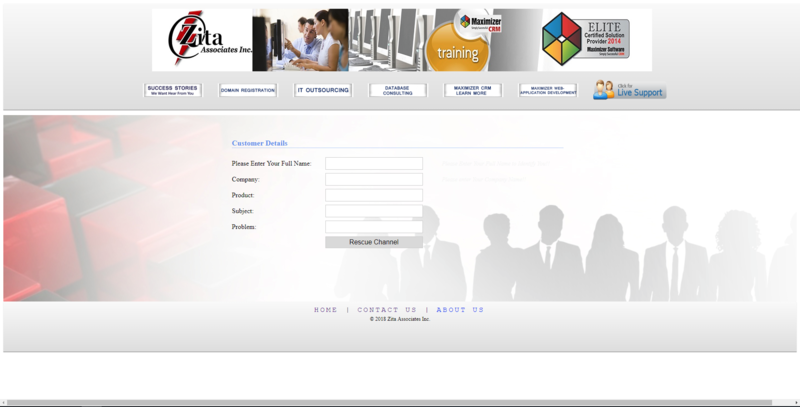 Let us know by dropping an email message at info@zita.ca . 2018 © Zita Associates Inc.